I was listening to a brilliant lecture by philosopher Dallas Willard on Nietzsche and Jesus and he said something that has really stuck in my mind, “The human condition is that we are looking for a basis for knowledge”. The way I interpreted that is that we are all looking for a foundation we can trust and place our faith in. As humans we are finite, our knowledge is finite and based on particular events and yet we must make choices that involve universal dilemmas. This is a problem that epistemologists and metaphysicians wrestle with: how do we know? What can we know? How do we know that we know? What is real? However it’s a problem that is not simply confined to the abstractions of philosophers – every one of us has a universal worldview, a narrative, a story through which we interpret the particular events of life. Everyone’s narrative answers fundamental questions such as: what it means to be human, how should I live? What is the good life? What is the meaning of life? How and from whom do I acquire knowledge to do so? So the questions of philosophy are not simply abstract but highly practical and whether we have sat down an wrote an essay on this, or simply over the passing years picked up what we liked – we all have a universal story, paradigm or framework through which we interpret the particular experiences of our life. Now I love science, completely and unashamedly from a young age I have always wondered about how things work, what is a fire, what is heat and that’s probably why I ended up choosing a career as a chemical engineer. 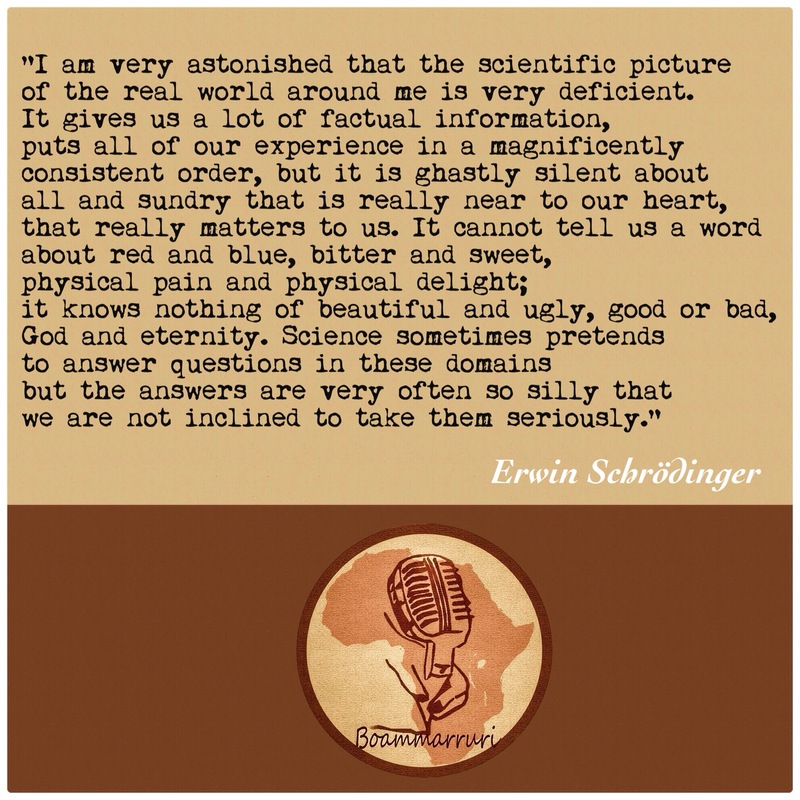 Science has revolutionised and brought comfort to our everyday lives and I guess it is no surprise that it has been looked to as offering the only certainty in a world of uncertainty. There’s a tendency however to over inflate what science can know, and unfortunately this does a great disservice to science itself. What made science so successful was precisely because it narrowed its field of vision and simply asked how does this behave, and can we use mathematical language to describe this behaviour. Faith in science as the torch bearer of truth in every area of life seems to provoke scorn for other disciplines such as philosophy and history. Theoretical physicist Stephen Hawking in his book the Grand Design says “philosophy is dead”. The irony is that this new world view of “scientism” is not so new really and ironically in fact has deep philosophical roots. 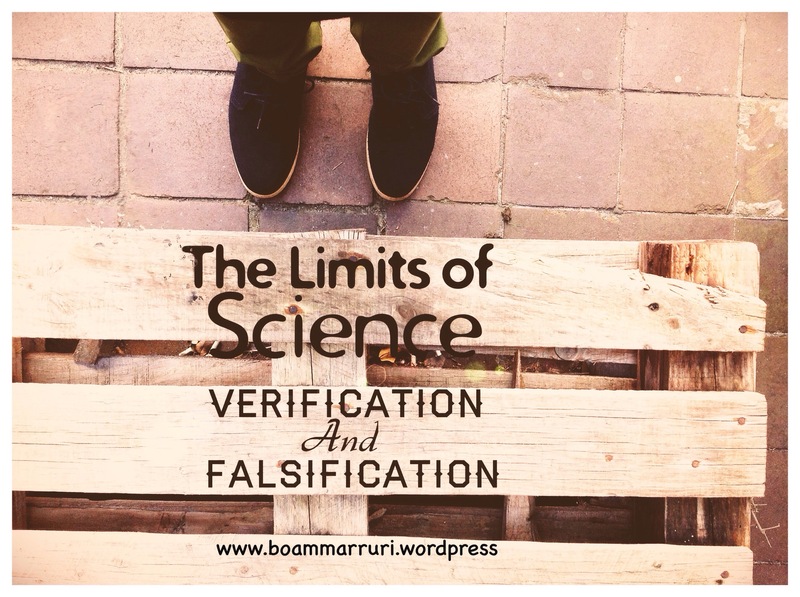 The most obvious problem with the verifiability principle is that it is self-refuting. An example of a self-refuting statement is: All sentences are shorter than two words. The proposition itself is longer than two words and therefore false. The same applies for the verifiability principle which claims: Only statements which are capable of being empirically verified are meaningful. The statement itself cannot be empirically verified and therefore fails its own test for meaning. Bertrand Russel once said “What science cannot discover man cannot know”. In other words only scientific statements can give facts and knowledge. This statement itself fails its own test for meaning because it is not a scientific statement and therefore must be false. Another popular term that entered Scientism and naturalism lexicon is that of falsifiability, falsifiable evidence. It was formulated by philosopher of science Karl Popper who also had an influence on the logical positivists. Popper had formulated his doctrine in an attempt to solve the demarcation problem of science. Popper was giving characteristics of what distinguished science from pseudo-science. His attempt was not to formulate an all-encompassing test for truth claims. Moreover there are many ideas and entities which cannot be falsified and scientifically proven but are rather taken as philosophical presuppositions such as the existence of an external physical world; existence of other minds; past events; causation; rationality; subjectivism. If the theory of falsification was applied to these philosophical presuppositions then the whole edifice of science would crumble – seeing how these entities are not subject to falsification. And certainly there are scientific theoretical entities (sub atomic particles) which cannot be directly empirically verified, but rather by postulating the existence of these entities they give us the best explanatory power of our observations. Science has been successful particularly because it has narrowed its field of vision. However to extrapolate from science being used as a mode of enquiry to uncover knowledge to it being the ultimate authority in all areas of knowledge without qualification is unwise. A world view that is built on the findings of science alone cannot justify its philosophical presupposition nor carry the weight of its logical conclusions. Our worldview must account for all our observations, it must correspond to scientific claims, however it cannot be built on science alone. Previous Previous post: Love is love- but what is love? And where is it from?